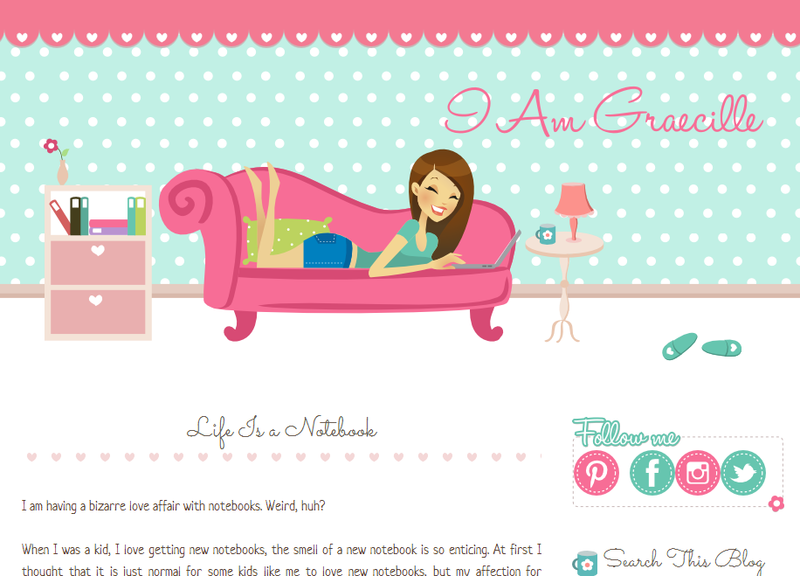 Newest custom blog design, mixed of soft pink and teal color. Personal blog with personal graphic illustration on header. Woman on sofa with her laptop, maybe update her blog :D . This is Graecille's blog. I like the handwriting font make this template more personal as personal online notes. See the cute cat graphic at the bottom of blog. I also put social media icon, pinterest, facebook, instagram, and twitter to make owner and reader closer. do you have the free icon for 'read more' on blog post? could i try this templete on my blog? Could you possibly make a free one similar, but with a couple kids playing in the background? can do with more dark colors? Hi! How I can get this template? I really love it! how can i downlod it ?? really nice combination of collors, do you do tumblrs? thanks. how to download it ??? this is so nice.. how can i download the theme? thanks! how to download this tempelate to use to my blog? don't you have a free template for us? if you don't have, how much a template? How i can download this theme ? is your blog? word press? ?